Russian Video: Alexander Rybak's Interview! And this interview is about Alexander Rybak actor’s job for a movie “Yohan – The Child Wanderer”. This entry was posted in Documentary, Eurovision, Musical Video on May 17, 2009 by admin. 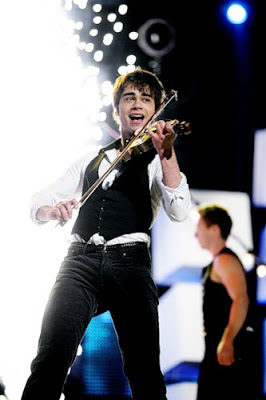 Russian Video: Alexander Rybak is The Eurovision Winner! I knew, I knew, I knew – I always knew that Alexander Rybak is the best – the only video about Eurovision I published was video of him! Belorussian boy was born in Soviet Union (1986) – now lives with his parents in Norway. He is extremely talented, plays piano and violin since 5 years old, plays in performances and movie. When Kyle for the fist time showed me Alexander Rybak’s interview with Russia Today. I was sure that’s the words of winner. For him Eurovision was a big party – no contest. Everybody were so kind to each other. Just a winner could say such words before the beginning of this contest! I kinda’ liked a girl I knew. Every night we fell in love. But suddenly we fell apart. Nowadays I cannot find her. This entry was posted in Eurovision, Musical Video on May 17, 2009 by admin. Russian Video: Eurovision 2009 from Moscow! To live here in Moscow and tell nothing about Eurovision these days… it’s impossible. Even if I am not too big fan of this competition I feel that is my duty. I think I picked up a very good video of Alexander Rybak (Belorussian guy who lives with his parents in Norway). I really like his show very much! Do you like Eurovision contests? Who is your favorite singer for this year? This entry was posted in Eurovision, Musical Video on May 13, 2009 by admin.